The Rapidor Pro door is an advanced PVC high speed door particularly well-suited to high-usage or external applications. Its integral wind bars and innovative curtain tensioning system ensures it gives superb weather and wind resistance. 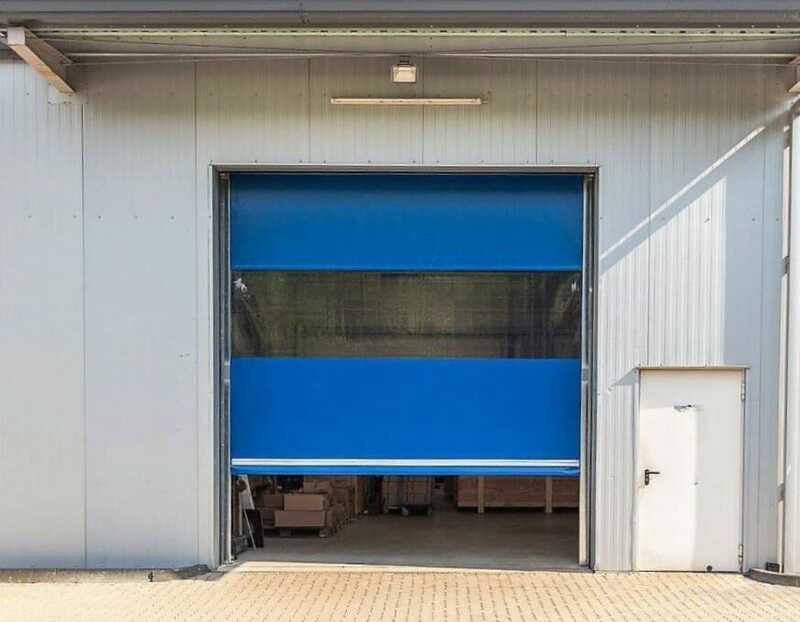 The door opens at up to 2900mm per second– helping to greatly improve productivity and minimize the risk of impact and doors being left open. It also feature a dependable frequency drive unit to minimize maintenance costs and ensure consistent and reliable operation. Provides peace of mind with safe and reliable operation, with low on-going maintenance costs due to anti-crash system and manual reset with no need to call a door engineer. 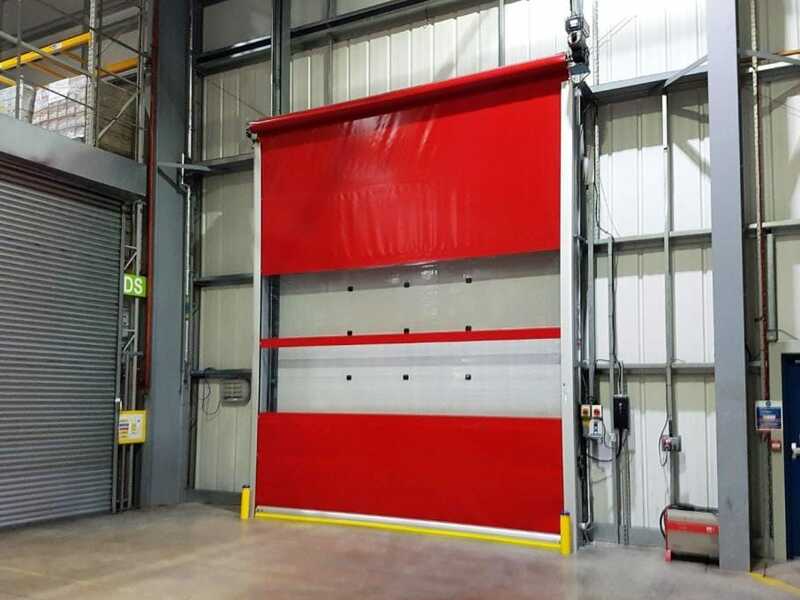 High-speed operation of up to 2900mm/second reduces operational costs by improving efficiency and reducing energy wastage and also reduces the risk of the doors being hit. Multi-function control panel and a wide range of electronic accessories allow individual doors to be configured to your bespoke requirements. Rapidor Pro is a very safe and user-friendly door and can utilise a wide range of controls including: floor loops; proximity sensors; remote control; and pull cord allowing it to be configured to client’s particular requirements. 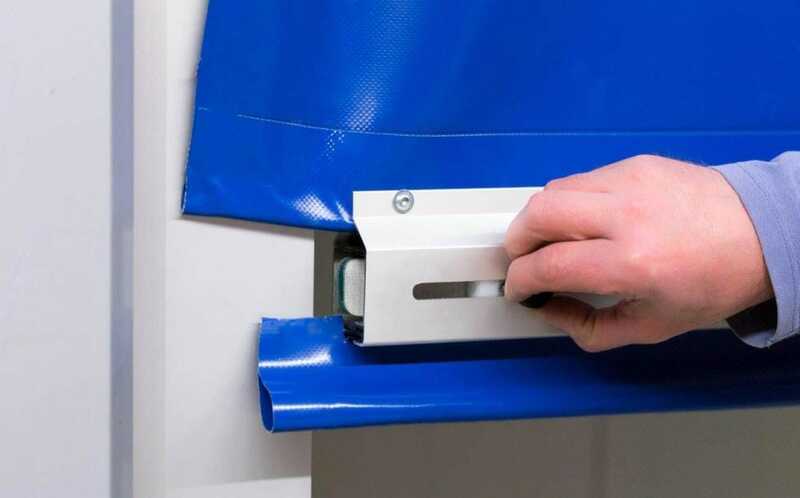 The 2.5m high integral light curtain gives complete safety for traffic through the door, providing a superior alternative to traditional safety edge or photo cell.